We have ascertained that dietary and nutritional discipline is equally important as training in order to attain peak health and robust fitness. The dietary factor make some food items a strict no-no when you are following a health regimen. For example, Chocolate which is a calorie rich food with goodies such as anti-oxidants and vitamin E, comes under the tag of ‘discretionary’ food due to its high fat and sugar content. The concerns related to chocolate has made it a taboo for those following an exercise regimen or athletes. But, is chocolate really that bad and its effects, really that adverse? 1. Medical research over the years has forced us to look beyond the weight management issues of chocolate to its capability to mentally stimulate and uplift. Chocolate has also been found out to increase NO (nitric Oxide) levels and positively affect heart health. 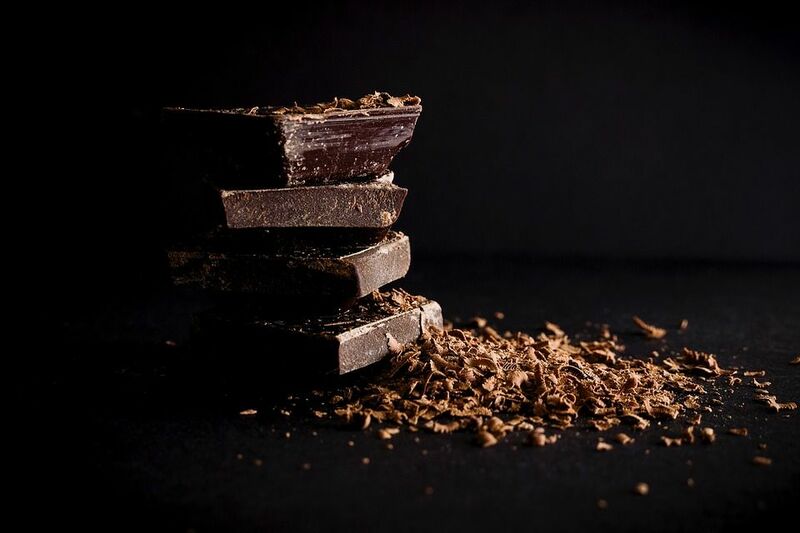 So, let’s discuss how chocolate, which originate from Cacao berries can be effective tools in training and lifestyle management despite the weighty concerns attached to it. 2. Cacao berries or beans from which chocolate is extracted are rich in natural fat and vital unique nutrients. It is when we add milk solids, sugar and other high fat additives that we mask the nutritional value under a guise of ill-effects. Cacao or chocolate in its natural, unadulterated form is an angel for circulatory, cardiovascular and brain health. That is why health conscious populace not only prefers but swears by dark chocolate to be an important part of their lifestyle. 3. Flavonoids are chemical plant nutrients, which are responsible for the health and color of fruits. Chocolate has a superabundance of flavonoids. Flavonoids have various benefits such as anti-oxidant and anti-inflammatory properties and cardiovascular health. Flavonoids do not let the platelet cells of blood stick together, ensuring a smooth flow of blood in our circulatory system, which is very important for training and recovery. They also impact your neurological state; flavonoids have been known to make us happier and more upbeat. 4. Nitric Oxide is the key regulator of blood flow in our body, they do so by dilating the arteries. It is one of the most important factor in maintaining optimum blood pressure especially when you are indulging in a physical activity like workout or sports. That is why NO is currently one of the hottest trends in sports nutrition market. Chocolate in its natural (cacao) form is a powerhouse of NO. It is also one of the most powerful anti-oxidants in the world. 5. In the end, we can be sure that chocolate is the not the enemy of your fitness or your training. In fact, it alleviates if you take it in the correct form. Look for more raw form of chocolates; darker, low fat and low sugar variations. Or, you can buy a cacao supplement. Endura Mass is a quality health supplement which helps you gain weight fast and in an optimal manner. It is 100% vegetarian and balanced formulation of high quality soy proteins, carbohydrates, fats, minerals and vitamins. Take endure mass daily to gain and maintain healthy weight. Endura Mass is available in chocolate flavor. It’s time to give the delicious chocolate a second chance! https://www.endurasupplements.com/wp-content/uploads/2018/11/dark-2562840_960_720.jpg 640 960 thecodeblaster https://www.endurasupplements.com/wp-content/uploads/2018/09/logo.png thecodeblaster2018-11-28 12:45:052018-11-28 12:45:05CAN CHOCOLATE BE HEALTHY? HOW DO VEGETARIANS GAIN WEIGHT? How To Be Healthy?